Heartbreaking, inspiring story of a man tells a story of his childhood when he and his best friend were put in a situation that put their lives in danger. Nothing but destiny can determine rather they live or die. Have you ever had a moment in your life when you were sure you were going to die? When you were sure you’d never see your family again? Well I’ve had one of those moments. I was 12 years old and every day I would go to the beach for a quick swim but after a while, it got boring. I being a young boy with a desire to try new things had come up with an idea to drag the boat my father had built down to the beach and just sit in the middle of the ocean. The boat was wooden carved and small, only suitable for 2 to 3 people. I wasn’t alone of course; I had my best friend, Joseph, to tag along. I walked along the shore to find Joseph playing with his teddy bear. 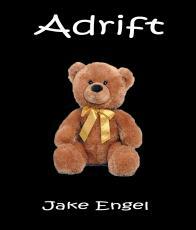 He loved that teddy bear; his mom had given it to him just before she died. I explained to Joseph what I was planning on doing, he wasn’t at first fond of the idea but after minutes of being called a chicken, he finally decided to help me push the boat into the cold blue ocean. We weren’t planning on going far we just wanted to sit out there, in the open water and enjoy the beautiful day. What we didn’t realize was that the ocean can be extremely dangerous. We grew up in this ocean, never seen any sharks, and never seen anyone drown, it was nothing but a great big pool to us. But as we sat out there in the open water we suddenly felt like we were being pulled. We began to drift further into the ocean. Neither Joseph nor I had ever heard of currents, but that afternoon the currents were really strong, they pulled us further and further into the ocean, we could see the beach seemingly fading away. We tried over powering the currents with our paddles, but the strength of the currents was just continuously pulling us further into the ocean. We were adrift, far away from the beach, far away from home and far away from our families. Joseph and I now find ourselves adrift in the middle of the wide open ocean, in the cold dark night, the last thing we need now is rain. Joseph didn’t talk to me at all until he blurts out, “this is all your fault, we’re gonna die now because of you”. I gave him an enraged look then turned away; my wet hair was covering my eyes so he couldn’t see the dirty look I had given him. “If we get out of this, we’re no longer friends“, Joseph says. I continued to ignore him. I knew it was my fault, I never admitted it because I couldn’t even think about it. I just thought about my family, were they out looking for me? What would they do if I died? That’s all I thought about, nothing else. The next morning the ocean was pretty quiet, the sun was out so it was less cold as well. Joseph and I were starving; we had nothing but a few candy bars and a couple of bags of chips that we had brought on our trip, somehow we had to make it last. Joseph’s hopes on surviving were really low. I could tell because every once in a while he would hold his teddy bear tightly to his chest and look to the sky and pray to god that he’d make it to heaven to see his mother. I never really prayed, mostly because I had hope that I was going to make it out alive. I had hope that one day, I will see my family again. It’s our second night now and this night, had to be the worst night of my life. It was really windy; the waves were getting bigger and bigger. My hair swayed back and forth, chills ran through my body as I rubbed my arms in an attempt to warm up. The boat began to sway along with the waves, to the point that I almost fell out of the boat and into the freezing cold water. As the wind was getting stronger and stronger, currents were moving in and the boat was rapidly moving back and forth, Joseph and I held on tightly, crying out for help, but we’re lost in the wide ocean, of course nobody can hear us. “I’m sorry Joseph, this is all my fault”, I finally admitted to Joseph. “It’s not your fault, you never could’ve known this would happen”, Joseph replies. It gets even windier, the boat is swaying out of control, Joseph and I soon found ourselves floating in the ice cold water, with the boat flipped over. I managed to flip the boat back over and climbed back on; Joseph seemed to be struggling to reach the boat. As he was reaching out for the boat I stuck my hand out to pull him in. “Come on Joe, you have to swim, reach for my hand”, I said with a desire to save my best friend’s life. The currents seemed to be pushing him the opposite direction. We were shaking rapidly and I saw a tear in his eye as he reached out. I was inches from pulling him in, he got away and I would never forgive myself for forcing him to go along with my ridiculous idea. I sat in the boat and watched my best friend float away with the ocean. I screamed for him until I could hear him no more, until I could see him no more. He was gone with the ocean, gone with the wind and gone with only hope to keep him alive. I sat in the practically broken boat; somehow it was still managing to float. I was all alone; my new best friend was the boat. Without that boat, I didn’t think I would manage to survive. I prayed for god to help me out of the situation I had put myself in. I didn’t want to end up like Joseph, though I did believe I deserved to. I deserved to die because it was my entire fault. If I haven’t come up with that idea, Joseph would still be alive. Hours after Joseph drifted away, my hopes of surviving had completely disappeared. I stood up and stared at the water, the boat was swaying gently. I was ready to jump in; I couldn’t bear to live any longer with the guilt of killing my best friend, even if I made it out alive. I stuck my toe into the water; I would never forget how cold it was. I slowly bent my knees; I was going to jump when suddenly I saw something floating towards me. As it got closer, I reached out for it. It was Joseph’s teddy bear, I don’t know how it managed to float all this way but I held it tightly, as if it was Joseph himself. A few minutes after, I heard a loud noise; it was the sound of a ship. I jumped up and down, waving my arms; a strong bright light was shining upon my face. Every time that ship’s horn went off, my body would feel with butterflies, excitement but at the same time, guilt. I felt guilty that I was going to make it out alive meanwhile Joseph may have been dead. As I was being lifted onto the boat, thoughts of Joseph ran through my mind. Could he be alive? Could he be on the ship? When I stepped foot on the ship, I was quickly surrounded by my whole entire family. There were tears, laughter but also still some concern because of course, Joseph was still out there. They continued to search the entire ocean for another 4 weeks until finally, they presumed Joseph dead. For awhile I had the teddy bear neatly sitting on my dresser until I realized somebody else needed it more than I did. I walked over to where Joseph lived and I put the teddy bear at the door step, rang the door bell and left. I’m sure he was proud to see it, that teddy bear belongs with Joseph’s dad; it’s the only thing that will keep him from dwelling over the death of Joseph. I’ve never came close to an ocean again. I believe the ocean is the most dangerous thing in the world now and if taken for granted, it will take your life, just like how it took the life of my best friend. I’ll never forget that night, the look in Joseph’s eyes, filled with fear and regret. Death can happen at any time, it can be sudden and it can be expected, it can be accidental and it can be intentional. Joseph’s death was accidental but yet I will always blame myself, the memories of that one horrid night, will haunt me forever. © Copyright 2019 jakeengel. All rights reserved. What was the narrator's name? I only learned the boy that died was Joseph, but never learned his friend's. You wrote it so realistically, it could easily pass as a true story in someone's autobiography. The way the teddy bear drifted back to the narrator, it seemed almost like Joe's spirit was doing that. Like he knew his friend and father would need it like he did in his last moments. Another great read. Simple and well-paced.